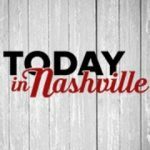 Here is Suzie’s most recent appearance on Today In Nashville! Wicked Awesome Fortune Telly Show! With two eclipses coming up in the month of March, this was a timely question!